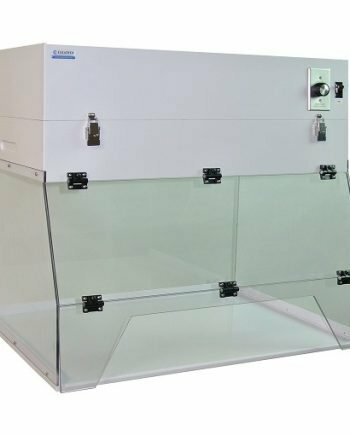 Cleatech benchtop ductless fume hoods (also known as recirculating fume hoods) are portable ductless enclosures with folding sash that remove hazardous fumes, vapors and particles from the laboratory. The air is directed into the filter chamber which houses various filter media (HEPA / Carbon) dependent on the type of particulate / vapor is generated. Different filtration combinations such as one or two types of carbon filter, only a HEPA filter, or a HEPA and a carbon filters. You can use standard activated carbon to chemically adsorb organic vapors, specialty carbon for acid gasses or Ammonia and HEPA Filter a 99.97% efficient particulate (0.3 Micron) filter for chemical powders and particulates. 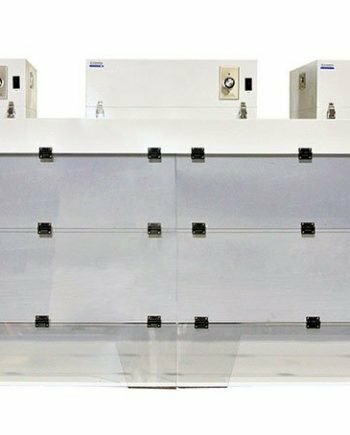 The advantage of using a ductless fume hood is cheaper installation since no ductwork or wall penetration required, (require filter replacement only). Another pro is portability of ductless exhaust hoods, they can be easily moved to different location within the lab. 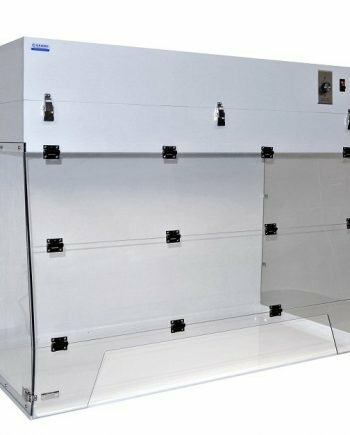 You should consider there are some chemicals that won’t be effectively filtered with duct-free filtered fume hoods. For such applications, ducted fume hood is recommended. 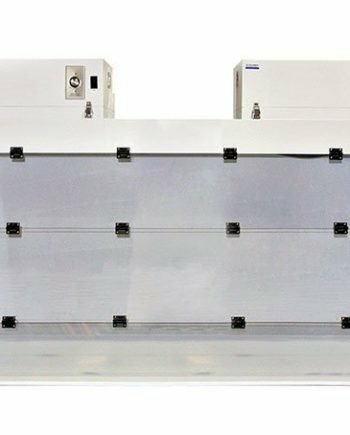 Airflow Alarm Monitor is recommended to improve laboratory fume hood safety. Electrical: 115VAC/60Hz; consumes 155W; Meets the requirements of the National Electrical Code and applicable local codes. All components UL listed and CE marked.